Zhongke offers complete solutions for processors who demand the highest standard of product quality. The M ,ZL,LD range is specifically engineered for grain sorting and delivers improved food safety. The commitment to large investment in R&D ensures that this advanced optical sorting technology produces excellent results in rejecting even the most challenging of defects and foreign material. Our Color Sorter Machines are designed in accordance with most exacting standards of food hygiene and excel in the most difficult of food sorting applications where the strictest levels of food quality and safety are demanded. Zhongke is a leading global supplier of Color Sorting solutions to the food and non-food processing industries .Thanks to our advanced sorter machine,now Zhongke wins widespread high praise from our users. 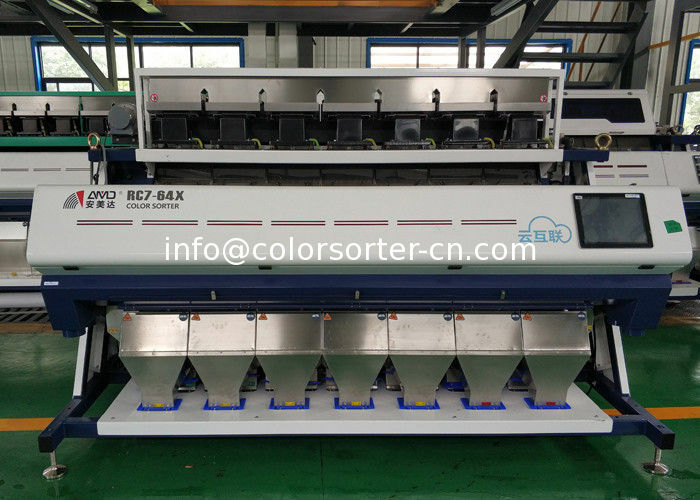 The color sorter range can remove cross-contamination, foreign materials, discoloration and subtle spot defects.